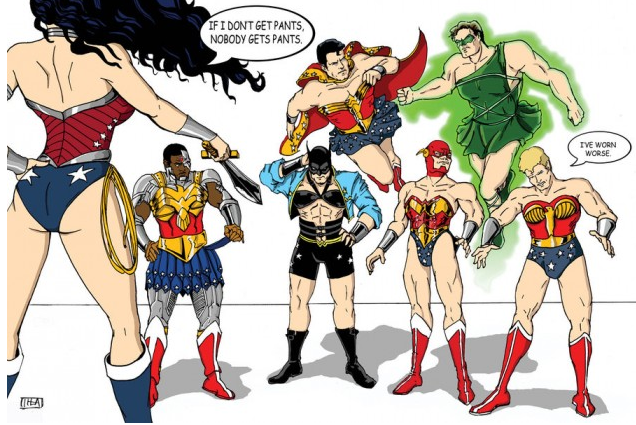 Wonder Woman to Justice League: “If I don’t get pants, nobody gets pants.” by Cynthia Sousa. An American girl’s guide to kissing by Sarah Quezada. Kissing. It’s a relatively simple aspect of Latino cultures. When you say hello or good-bye, it’s customary to include a quick peck on the cheek. Naturally, this practice sends me into a spiral of what ifs, internal dialogues, and a general state of panic. To the One who is Left Behind by Marilyn Gardner. I know with each parting, that life will never be quite the same and I’m never quite sure I will be able to handle it. I’m never convinced that this time might be the time where I become undone, where I can no longer pick up the pieces of those left behind — move forward when those I love are gone. But each time I do. Each time I survive, and I smile and laugh again, and though it hurts, somehow it’s okay. In my imaginary world, family lives right next door by Marilyn Gardner. So in my imaginary world, family is right next door. This is one of the things that we who live a mobile life give up. We give up family. To be sure, family arises in different ways, community is born out of need and desperation and it’s good community. It’s necessary. But we give up extended family and that is not easy. We give up grandparents who speak regularly into our children’s lives and teach them what it is to grow old. We give up aunts and uncles who, crazy as they may be, each come with their particular gifts and idiosyncrasies; with a collective wisdom born of good and bad choices. We give up the spiritual dimensions of lives lived well in the realm of faith, we give up family dinners, we give up family fights and the subsequent forgiveness and making up. When we live a mobile life it is really easy to decide we won’t work through the hard, instead choosing to ignore people and not reconcile our differences and our hurts. Meth lab found inside Walmart restroom in Indiana by Tribune Media Wire. This is the Walmart where I used to shop. I was not especially surprised. How American parenting is killing the American marriage by Danielle Teller. In the 21st century, most Americans marry for love. We choose partners who we hope will be our soulmates for life. When children come along, we believe that we can press pause on the soulmate narrative, because parenthood has become our new priority and religion. We raise our children as best we can, and we know that we have succeeded if they leave us, going out into the world to find partners and have children of their own. Once our gods have left us, we try to pick up the pieces of our long neglected marriages and find new purpose. To the well-intentioned but ignorant parents of teenagers by Kayla Nicole. I am a pastor. Here’s why I don’t want you to pray for me. by Theresa Latini. What it means to “hold space” for people, plus eight tips on how to do it well by Heather Plett. The Right Words to Say: On being read as White by Dahlia Grossman-Heinze. When you meet me for the first time, you read me as if I were a book. Every idea you have about me and every word I say is part of that book. When you look at me, you will think I am white. I already know this. When you shake my hand and meet me for the first time, you always already read me as white. You will hear me speak English without an accent and think I am white. You will hear or read my last name and think I am white. You read me wrong. 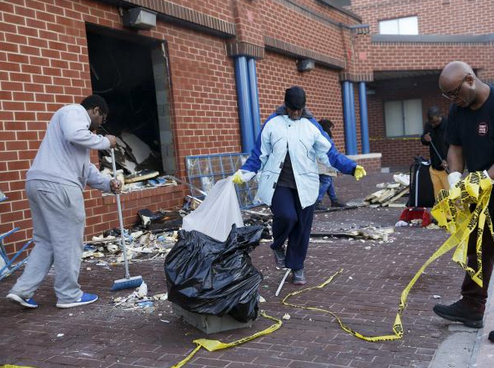 10 images of the Baltimore riots you won’t see on TV by Natasha Norman. Expanding the ways we experience God by Shauna Niequist. Confessions of a high church millenial: Is liturgy a fad? by Erik Parker. Until your pride melts by Kim Hall. What can we do with all our soul trouble? Where can we take it? The season of Lent says to God’s people: “Bring it.” Bring your dry bones, your numb hearts, and your wrecked and weary souls. Bring your shame and the sin that you can’t shake. Yes, it is too much for you, but it is not too much for God. Only He can create a clean heart and a renewed spirit within you. Note to Self: Finding balance in the digital age by Manoush Zomorodi. Formerly known as “New Tech City”, I’ve been listening to this podcast a lot and HIGHLY recommend it – one of the best, most thoughtful shows around. Check it out!!! Lenses of a faithful follower. I do not often feel full of faith. As a matter of fact, I am far more frequently filled with questions of hows and whys and whens and what ifs. I have known those who walk away from faith in the face of such seeming unbelief. I, too, have had my moments wondering if my lack of belief equated an insurmountable lack of faith. When I reflect on what I have found faith to be, however, I am astounded by how much more there is to being a faithful follower of Christ than merely belief. The puzzle of many homes. Surely God intended some of us to stay and some of us to go, some to plant and some to tend, some seeds to grow deep roots and others to float on the wind. It is a purpose that we struggle to accept when we leave behind loved ones and familiar lands. 101 culturally diverse Christian voices. Check out this list of voices from many backgrounds! 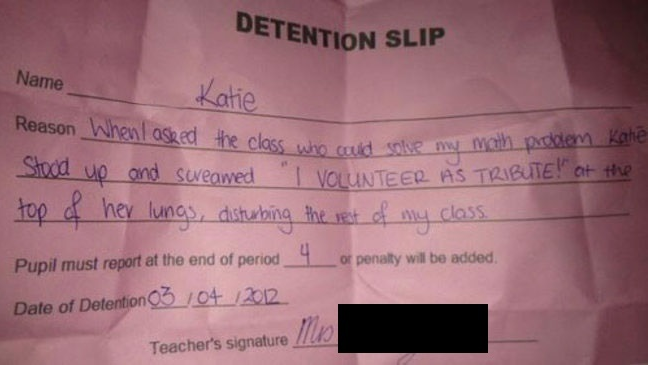 And just for fun…. 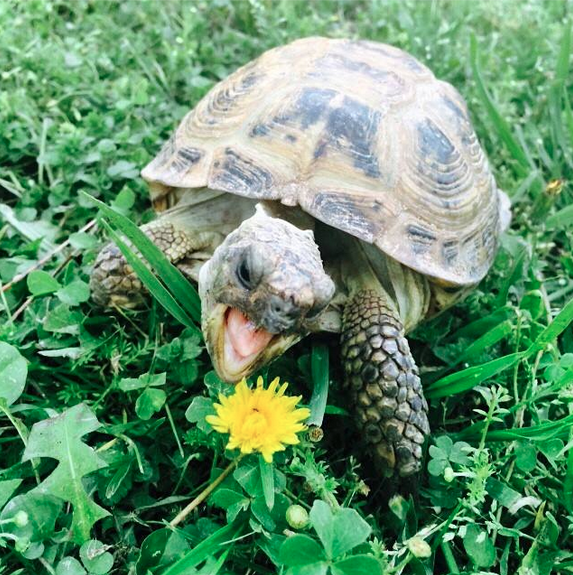 Meet Dumbledore, my pet tortoise. He really likes dandelions and exploring the back yard. However, he does not-at-all like it when the dog gets ahold of him and tries to bury him.